150 acres, premier indoor arena, 2 large outdoor arenas, 3 round pens, trail riding, and irrigated pasture. 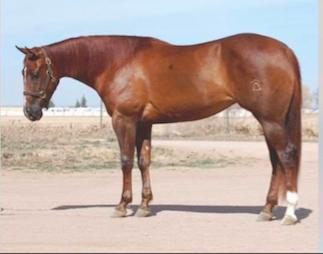 Your horse is nurtured under the direct supervision of the owners Luke and Leesa Vos and their team of dedicated hands. 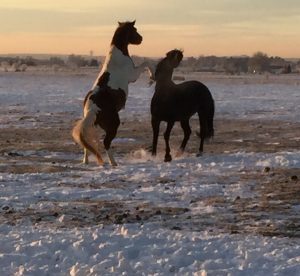 Welcome to Fort Collins’ premier horse boarding and training facility, conveniently located on the outskirts of the beautiful town of Fort Collins, Colorado on the frontage road of I-25 and Prospect. Mountain View Ranch and Stables offers a wide variety of boarding options including beautiful indoor stalls, paddocks and runs as well as 150 acres of irrigated pasture at this beautiful year-round facility, where horses can roam free in a natural herd environment. Our riders can opt to ride alone or enjoy the camaraderie of their friends. With 2 very large outdoor arenas, a large well lit indoor arena, 3 round pens, trail riding and multiple tack rooms things never feel crowded. Our horse boarding facility is centered around one guiding principle and that is to provide the finest quality care for our horses and a clean, safe environment for our riders. We take great pride in maintaining our facility in top class condition at all times and providing a warm, welcome and friendly environment. 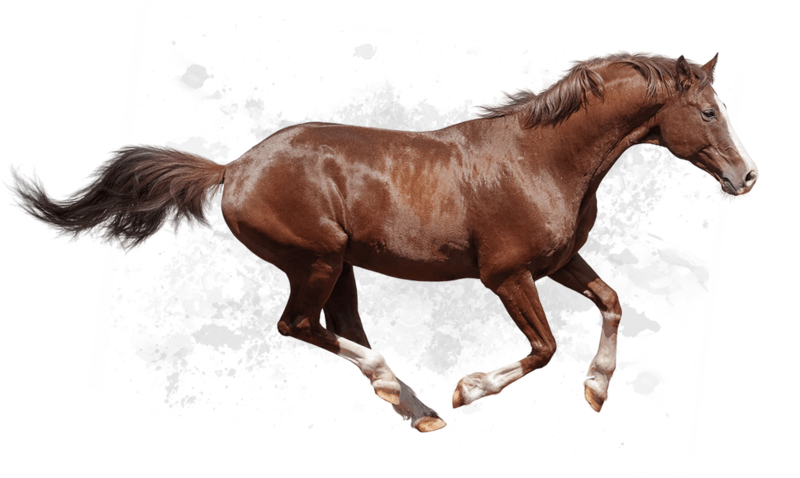 OUTSTANDING HORSE CARE We take care of our clients’ horses just like we do our own. We blanket stall and paddock horses in the winter, provide 8 hours of turnout daily for stall horses, regular turnout for our paddock horses and shelter from the heat and elements in all our paddocks and pastures. FRIENDLY, WELCOMING ENVIRONMENT We have the most amazing boarders and riders of all ages, experience levels, and riding disciplines. Riders are courteous and mindful of other riders and many lifelong friendships have had their beginnings right here at Mountain View. My horse River and I are so happy to be here. Leesa and Luke are extremely hands-on and take special care of each and every horse. I knew I’d love the indoor arena in the winter but I find I love it just as much on hot summer days. I love the fact that I never have to worry about River if I am traveling or can’t make it out for a couple of days. He’s happier than he’s ever been. Love, love this place. FANTASTIC place! They treat your horse like their own. Great facility run by great people! This facility is absolutely amazing the people are all nice. The place is very well taken care of. Would definitely recommend this place to anyone looking to board a horse! I have recommended this facility to friends and will continue to recommend Mountain View Stables to anyone willing to listen to me rave about how great this place is. Not only do they have premier amenities ( that they keep up wonderfully), but the owners are very personable, sincere, honest, and accommodating to the needs of horse and owner! My horse, Jet and I love Mountain View Stables!! Luke and Leesa took my horse and I in on short notice when our former boarding facility closed up shop unexpectedly and I couldn’t be happier with the results. This facility has wonderful, caring owners, fantastic boarding options to fit your horse’s needs, and multiple well tended riding spaces for you to enjoy. Would definitely recommend it to anyone looking for a new place to call home. The area is bright and open. Our 19 stalls are of generous proportions, averaging 12X12 and one foaling stall measuring 12X18. All stalls are lined with thick mats, cleaned daily and bedded with shavings to make your horse comfortable. With a 150 acre ranch, our three pastures are huge. They are irrigated and rotated for healthy grazing. All pastures have automatic waterers and, when winter comes, your horse will be fed the best, most nutritious premium hay. Our paddocks are very large and can accommodate up to 5 horses each. Automatic waterers and twice daily feeding of premium hay. Stalls and runs are cleaned every day. These roomy paddocks with generous shelters can accommodate 2 horses. Automatic waterers and twice daily feeding of premium hay. Stalls and runs are cleaned every day.